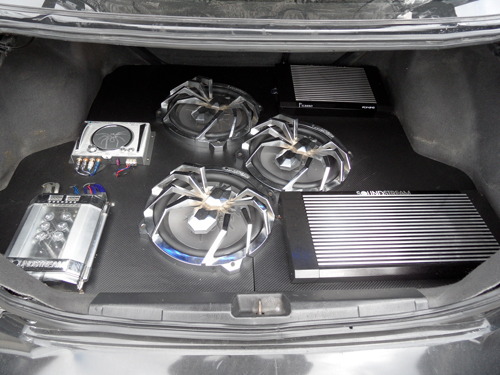 If you need a Car Stereo Installation San Diego Shop, look no further as we’re the most experienced in San Diego! 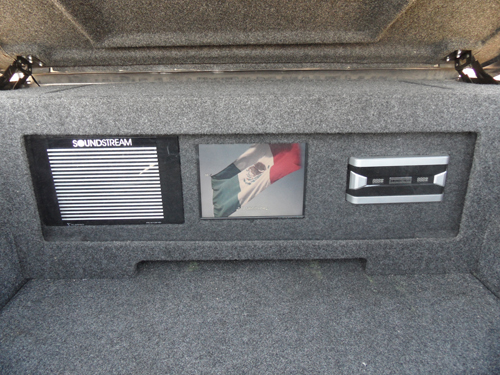 We install alarms, amplifiers, reverse and back up cameras,stereos, video, xm or sirius systems,dvd monitors,headrest,and a lot more. We can make custom boxes with a specific design or logo. 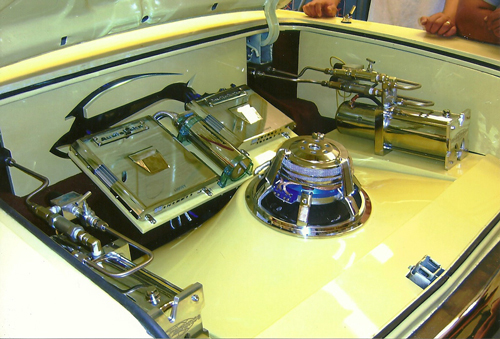 We are experienced with fiberglass custom boxes. 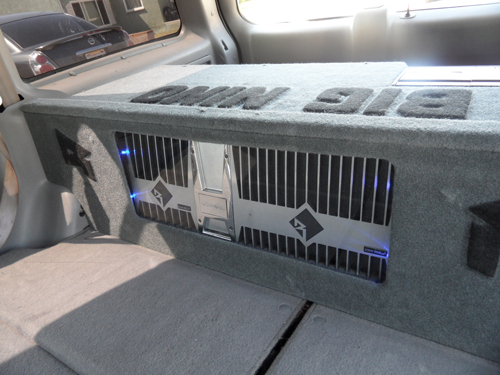 We use Birch and MDF wood to make subwoofer boxes. We can troubleshoot any electrical problem or clean up another shops mess. UPDATE: We now do Window Tinting too! My goal is to take care of the customer and perform good clean work. We accept Visa, Mastercard, Amex, and Discover cards. 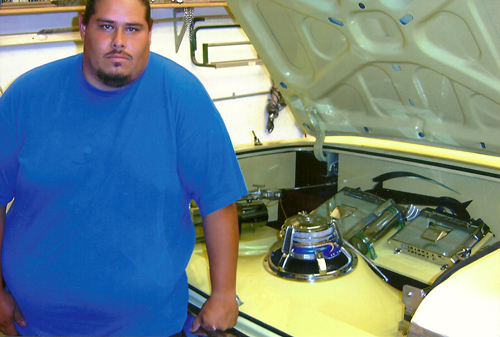 Call for a quote: (619) 469-2699. Or better yet, come on and visit us at: 1415 Skyline Drive, Suite A , Lemon Grove, CA 91945. 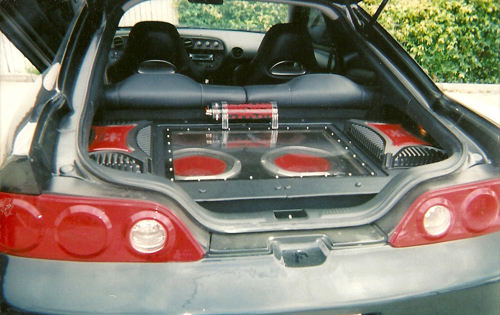 2005 Honda Civic with SoundStream Equipment… Beautiful, isn’t it? 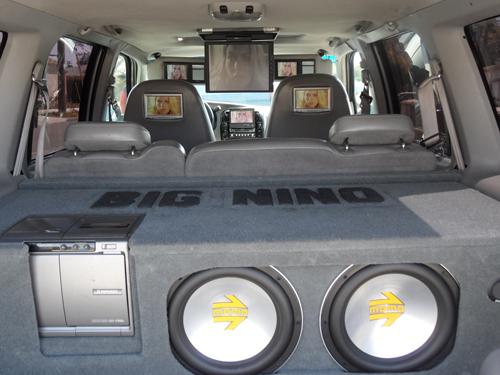 Looking Inside The Big Nino… Truly A Mobile Entertainment System… How About A Closer Look? Can You Count How Many Screens This Baby Has? This Is The Monster Amp That Powers The Whole Thing… Impressive? Yeah, We Think So. 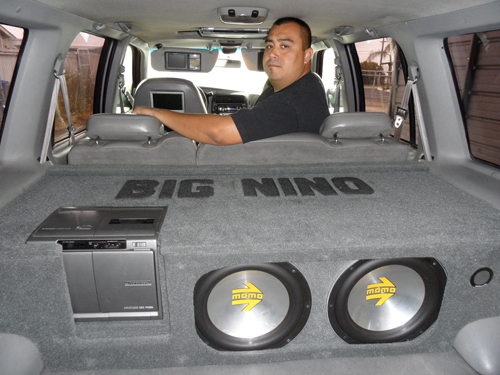 … Below is “Big Beto”, one of my installers. 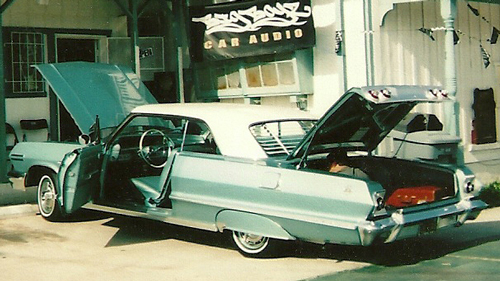 Our Professional Installer Beto, Next To Birds From Majestics 1963 Chevy Impala That We Amp’d Up. A Closer Look At One Of Our Masterpiece Installations! 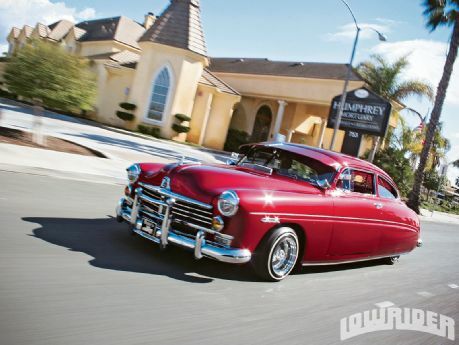 Marisa Rosales owns the beautiful red 1949 Hudson Brougham above. She named her car “Christine”. 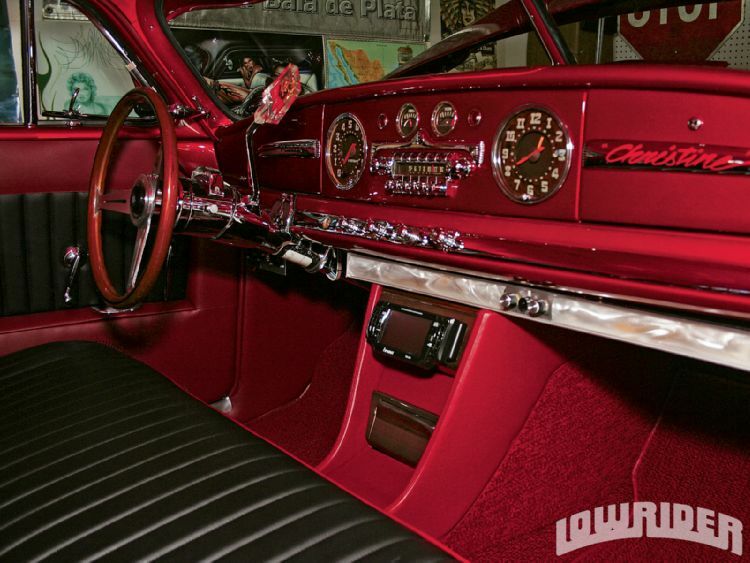 We installed all the audio on this beautiful classic. If you like what you have seen so far, please contact us at: (619) 469-2699. Or better yet, come on and visit us at: 1415 Skyline Drive, Suite A , Lemon Grove, CA 91945.